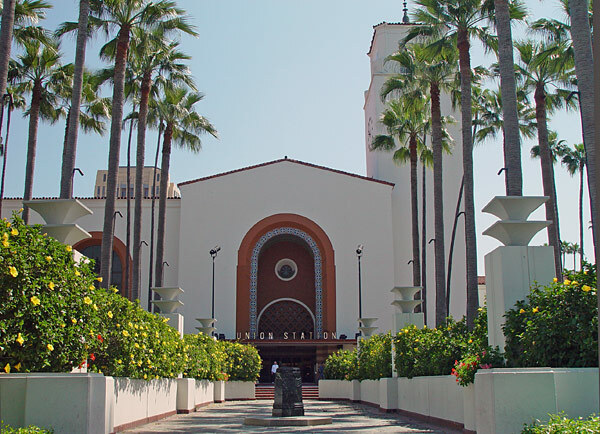 What does the future hold for Los Angeles Union Station? The public will get a first look at conceptual visions of what the future may hold for the iconic and historic Los Angeles Union Station. Metro Board Chairman and Los Angeles Mayor Antonio Villaraigosa and elected officials will be on hand as six architectural firms present their high-concept vision for Union Station in the year 2050. You’re invited. The Union Station Master Plan Vision Board Viewing will be held Wednesday, April 25, in the Old Ticket Room of Union Station. Mayor Villaraigosa will introduce the presentation at 1 p.m. The vision boards will remain on display until 5 p.m. The six firms are finalists in the process of selecting a team of complete a Master Plan for the Union Station property, purchased by Metro in April 2011. Can’t the boards stay up a bit later? Anyone who works (which is most) won’t be able to get there by 5. These mid-day and afternoon public meetings and displays never actually work well for the public. Since I’m not likely to make it out on the 25th I’ll make my futile recommendation right here… shore it up and don’t change hardly anything! Union Station is one of my favorite buildings in LA. The consistent art deco themes are inspiring. I commuted on metrolink for a year from OC to LA and being at Union Station was a special treat in the middle of a grueling trip. We hope you will also post the designs on the source, please. Matthew: No one wants to change the historic Union Station, nor could they. The challenge is that LAUPT will need to accommodate high-speed rail, through tracks, the new Busway platform and also needs to use its land more efficiently to provide better flow and access and even additional buildings (towers) for office and come as close to reaching the potential of LAUPT in the new era, and let’s hope some new restaurants and even a good hotel would be nice: a single integrated vision instead of the haphazard goof as we go along that has given us the somewhat disappointing and UNDER utilized Patsaurous Plaza and LOCKED us into to just 15 tracks because no body really had a clear vision of what would be required. Now that MTA owns it, it is not just about making $$ (as it was for Catellus and subsequent owner) but about how to make LAUPT the best possible multi-mode transit hub for the entire region. I would be very careful to change almost nothing of the front end, except maybe a new tenant for Union Bagel, something at Harvey House, improve the traffic flow out front, little minor things. Excuse me, but why weren’t these posted online so that people could examine them at their leisure? That’s what Denver did with the competing proposals for ITS Union Station.